There is only a handful of musical acts that conjure up words like iconic, legendary, or world-class – and of that handful there are only a precious few that are still vital and active and living up to that ‘legendary’ status. In that élite group, Procol Harum has a firm footing. Somehow enduring for more than half a century without deference to the swirling eddies of a fickle and ever-adolescent musical pop culture, the good ship Procol (with ‘Commander’ Gary Brooker at the helm) soldiers on to the delight of a still-enthusiastic international fan base whose appetite for this unique entertainment keeps them calling out for more. As a matter of fact, the faithful are a fanatical bunch, willing to follow Procol Harum from venue to venue – even across continents – carefully logging musical and lyrical variants from show to show, corresponding feverishly to report the news, their conversation peppered with curious turns of phrase liberally borrowed from Procol Harum songs (see the previous sentence). And so it was that I became part of one of several contingents of Procol Harum fans following the band’s progress through the New York area portion of the current US tour. The Still There’ll Be More tour (named after the song as well as the excellent double-disc 50 year anthology on Esoteric Records) spanned from Atlanta to Boston from mid-February to early March. The schedule would have been a challenge to any rock outfit, much less one that was celebrating its fifty-second year. 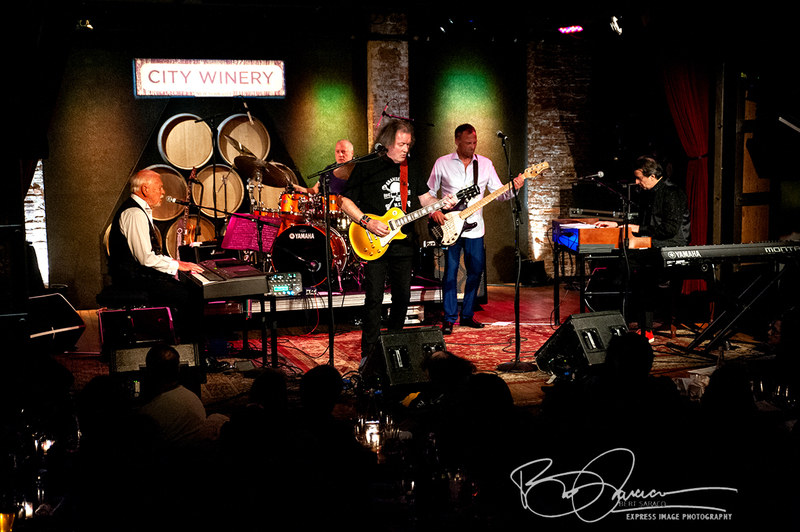 By the time they reached New York, The City Winery had added an extra show to the two that had already sold out. The added night resulted in the northeast wind-up to an already heavy schedule being eight shows in nine days, all of which produced great audience reaction and critical success. Having watched every YouTube video I could find from Atlanta, Nashville, Chicago, and Washington DC I was eager, and ready, for the six-show run that I was covering: three nights at The Winery in NYC, the NYCB Theater in Westbury, LI, the Ridgefield Playhouse in Ridgefield, CT, and The Scottish Rite Auditorium in Collingswood, NJ. 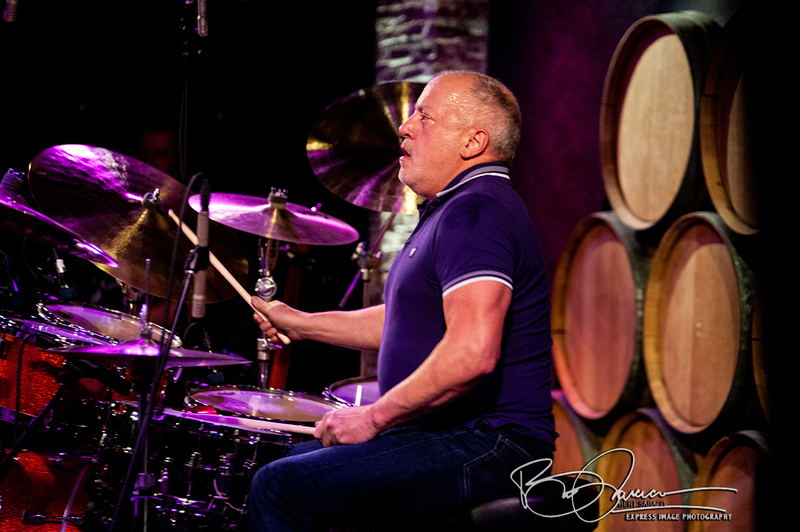 The YouTube videos were great, but Gary Brooker (voice and piano), Geoff Whitehorn (guitar and back-up vocals), Matt Peg (bass and back-up vocals), Josh Phillips (Hammond organ, Montage keyboard, and back-up vocals), and Geoff Dunn (drums) seemed to have been energised by the momentum leading up to the NY shows, performing on a level that somehow seemed to infuse the performances with renewed freshness and inventiveness. The band manages to be both organic and technically impressive at the same time, having fun with the songs while performing them to the exacting specs of an audience that will accept no less. The sound-checks were crisp and full of surprises (this band really needs to record some jazz-infused instrumental versions of the repertoire) and the band has a great time onstage during the performances. A Whiter Shade of Pale, Conquistador, and Pandora’s Box might be the trio of songs that are best known to the world at large but that’s just the tip of the Procol Harum musical iceberg. 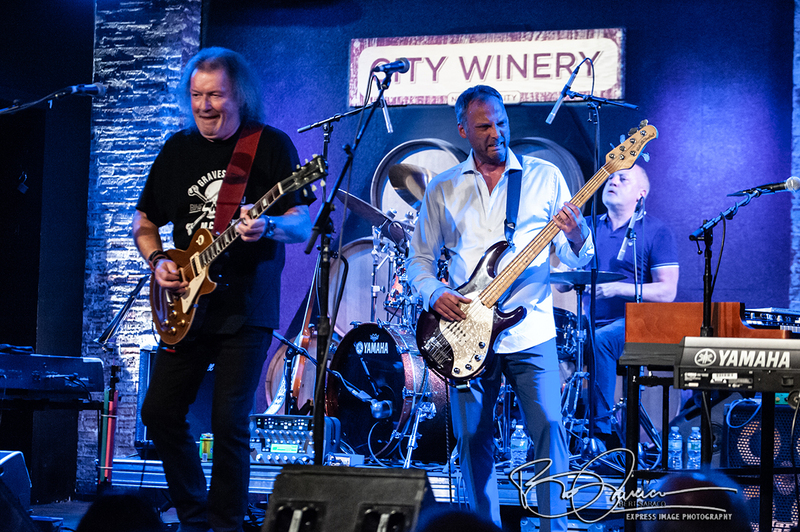 As the concert audiences at these shows can testify, the band’s repertoire is rich with bluesy, elegant, melodic delicacies like A Rum Tale, Sunday Morning, and A Salty Dog, as well as solid rocking numbers like Simple Sister, Bringing Home the Bacon, and the powerful new Businessman, from the Novum album. Genre-defying compositions like the elaborately-constructed Fires (which Burnt Brightly), Grand Hotel and Whaling Stories come across as powerfully as ever, with even more textures added by Whitethorn’s inventive use of volume swells, harmonics, and ‘mandolin’ playing, Pegg’s astoundingly melodic runs and solid grounding on bass, Dunn’s on-the-edge drum fills (head-spinning work on Fires), and Phillips’s solid Hammond work and inventive sound-creating on the Montage – evoking everything from choral to horn sounds, as well as very effective string simulations. If there were any in the audience who didn’t know it before seeing the performance – afterward they knew that this is a group of musicians capable of doing just about anything – and doing it with class and a great deal of fun. 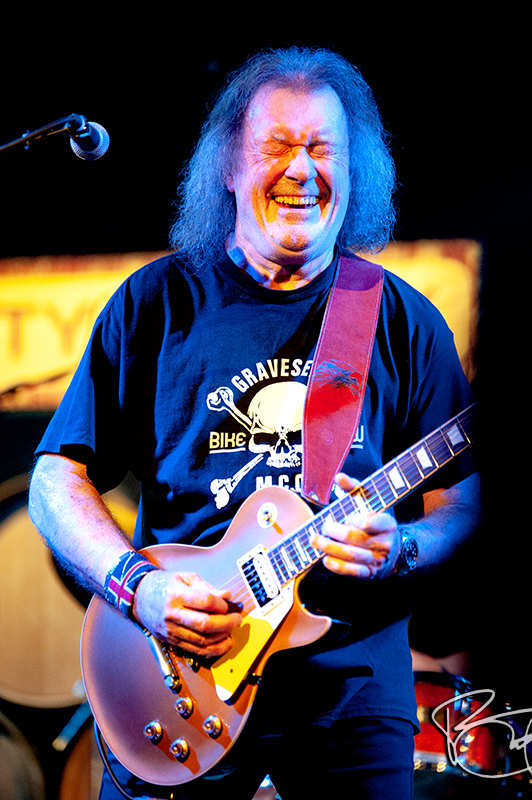 Without question Procol Harum’s most versatile guitarist, Geoff Whitehorn delivers fury and finesse in equal measure – his soloing can go from blistering intensity one moment to beautifully-phrased passages the next. 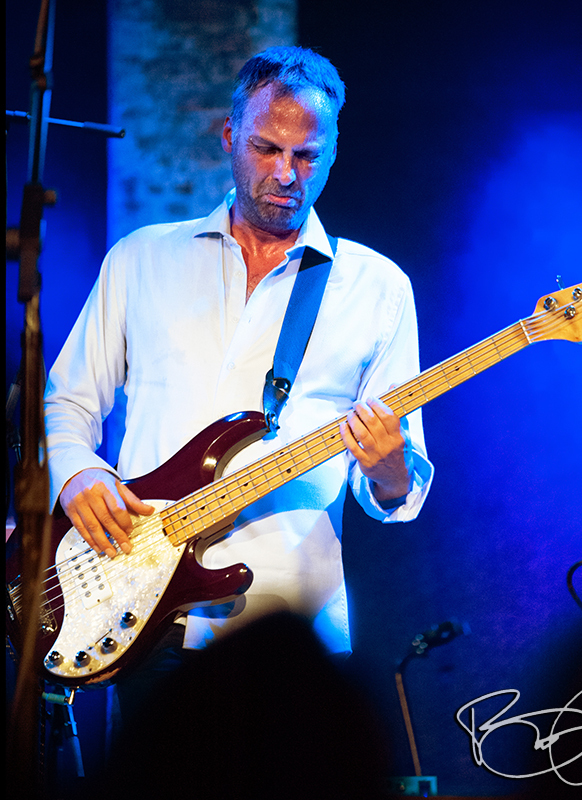 Matt Pegg’s bass playing not only anchors the music but decorates key spaces with articulate lines that beautifully bridge from one chord to the next. Josh Phillips not only provides the counterpoint to Gary’s piano but is a fine solo player in his own right: with the Hammond and the Montage, he builds sound-textures that help define and perfectly underpin the epic music and lyrics that are so unique to Procol Harum. Behind the drums sits Geoff Dunn, a powerhouse of a player, rock-solid in his sense of timing and dazzlingly ornamental in his fills. Dunn’s work – especially live – is increasingly daring, adding a sense of musical danger in the most delightful way imaginable. 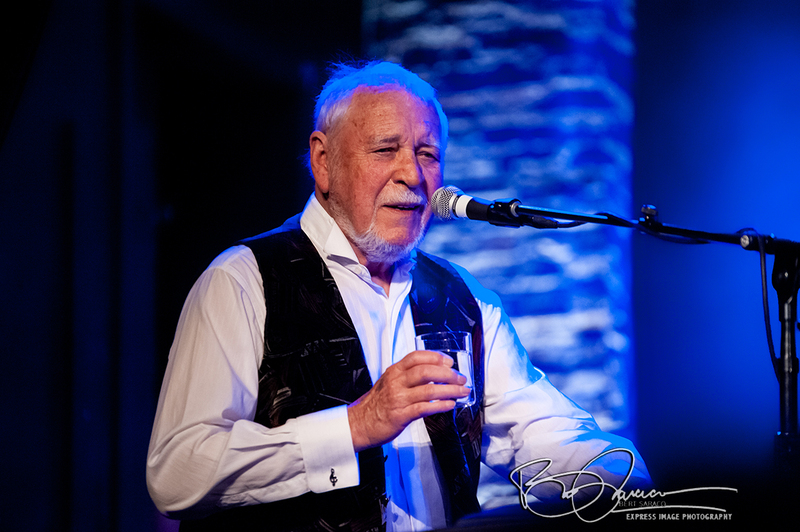 Gary Brooker is a congenial, somewhat rascally host – his between-song patter, while hitting similar notes out of necessity at the various venues, is often unpredictable and topical, keeping a proper tension and tone throughout the show. His singing voice should be declared a national treasure (maybe the UK and the US could share the honours), with a strong, soulful delivery, exquisite, inventive phrasing, and a range that most singers would envy. These days there’s a bit more Ray Charles in the man, both in his posture at the keyboard and in his vocal delivery. Standing ovations were plentiful at every venue and at all six of the performances that I attended – they were well-deserved. 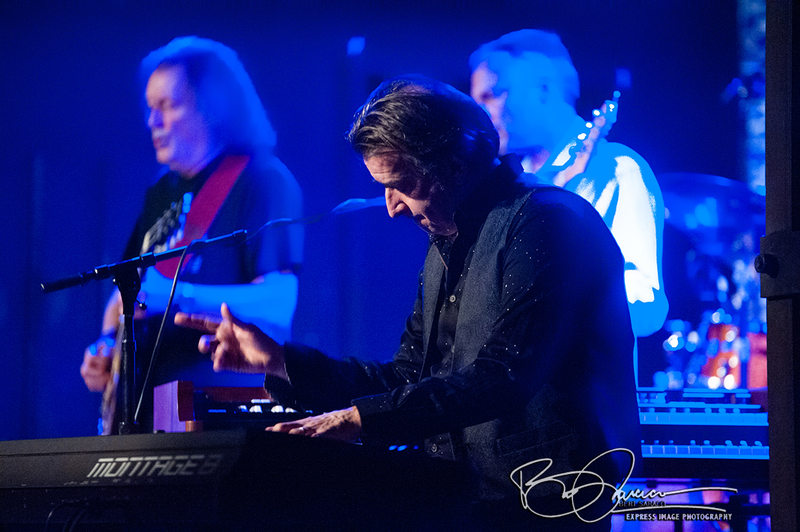 Not riding a wave of nostalgia, Procol Harum continues to earn accolades by doing the hard work of really performing. They’re a working band. These five musicians do yeoman’s work with the ‘classic’ as well as the new material, winning over audiences not just because they showed up but because they performed memorably. When the crowd cries out for more, they do it with good reason … .